Macroeconomic stabilization tops the list. 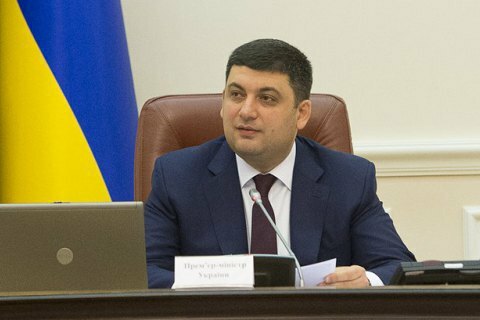 The government of Ukrainian Prime Minister Volodymyr Groysman has published its priority action plan for 2016. The 238-page document, accompanied by Cabinet of Ministers of Ukraine Resolution No 418 from 27 May, was posted on the cabinet's official website on 10 June, according to Interfax-Ukraine. "Recognizing Cabinet of Ministers Resolution No 184 from March 16 On Approval of the Priority Action Plan for 2016 as defunct," the new resolution says, referring to the 281-page plan of the previous government led by former Prime Minister Arseniy Yatsenyuk. The government obliged all ministries and agencies before the 5th day of the month to provide the Ministry of Economic Development and Trade with reports on meeting plan priorities. The reports will be included in the full report to the Cabinet by the 10th day of the month. The government notes that its strategic priorities are: macroeconomic stabilization, creation of favorable conditions for business development, ensuring rule of law and combating corruption, raising the level of state management and government services, restoring state security and raising the welfare of citizens.